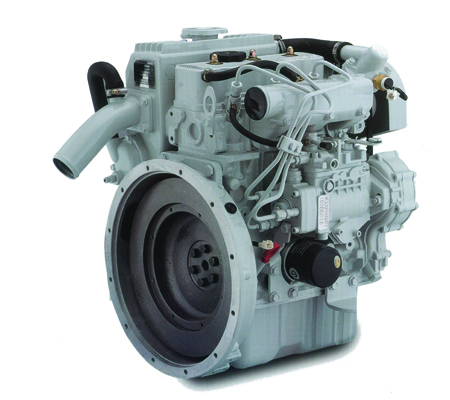 The body of the engine without Gantry type cylinder liner design improves the structural strength of the engine block and make a compact and lightweight structure. The integrated design of the exhaust manifold heat exchanger and exhaust manifold placed in a cavity surrounded by water. Outside water circulation reduces the temperature of the exhaust gas. The cooling effect is better and the noise is lower. The heat exchanger tank replaces a radiator and cooling fan to the more compact structure.